Fenestration and Glazing Guidelines, Procedures and Calculations. The guidelines featured in the pdf below give an idea to anyone wanting to calculate the Fenestration Compliance Procedures in terms of Sans 10400-XA:2011 and SANS 204:2011, what is required and what is involved. There is a step-by-step guide to area (nett floor) calculation with reference to the parts of the regulations that apply. A SGHC (solar heat gain calculator) is also supplied, to calculate the heat conducted in and out of a building. There are a couple of “real life” calculations at the end of the document that illustrate how this was achieved. You will see that the calculations that need to be done to comply with the Regulations are not at all straightforward. But you do, in any case require a “competent person” to draw up your building plans, submit them to the local authority, and take responsibility for the project (including ensuring that construction is in accordance with the plans). A competent person should be well equipped to interpret fenestration and glazing guidelines as well as procedures and the calculations. If not, it is the responsibility of that person to include someone who is in the project. We are building a new resedential house and we are concerned that we are having over budget for the fenestration on the new requirements. 1. Is the new regulation they fully enforced? 2. How can i get a free calculation sheet to work out some calculations myself. Yes you will have to get a professional to design the alterations and to do the fenestration calculations for you. 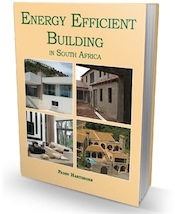 Where can I get a copy of SANS 0204 Energy Efficiency in Buildings, is this available on the internet? Peter you can get SANS 204 from the SABS – it is not available free. If we design a building to meet the 15% (max) for energy efficiency, is it still a requirement to prove the fenestration calculations? Not sure if you received a conclusive since your post. SANS 10400 Part XA is quite clear about buildings having a window-to-floor are percentage less than 15% – they are automatically compliant with law and therefore no further technical calculations are required. Of course one should also factor in the regulations for natural illumination, which require a 10% ratio and therefore allows a very narrow spectrum of 5% for a total compliance. Anyway there are many alternative solutions to get the building compliant in every respect. You can register for a one year FREE license! I just would like to know if the nett floor area for fenestration includes double volume areas? Does this comment hold any water? Tiaan, I am not aware of any national building regulations specifically aimed to provide privacy to neighbours. However there are by-laws in various municipalities that prevent people from having windows in a wall adjacent to another property, if the building is closer than a minimum distance. Perhaps there was confusion with fire regulations. National regulations do have fire safety distances in relation to neighbouring boundaries. Although Penny is quite right in stating that individual Local Authorities might have their own ordinances that have requirements of this kind. Not to mention, of course, that housing estates often have their own architectural guidelines within the estate that may enforce this type of consideration towards neighbours. do these fenestration calcs apply to a church building with an very high cieling of about 5 meter, in the same way as for a recidential dwelling? we want to add a small conference room of about 50 sqM to the complex. The church as well as the proposed conference room ar used only about once a week for 1 to 2 hours. Yes the fenestration calculations apply to all buildings and are also regulated in terms of what a building is being used for. As your church is not essentially “a dwelling” there are other regulations that will have to be read together with these. The SANS 10400-XA also divides the country into climatic areas that also affects the answer. As you can see with the “Fenestration Calculations” and the other factors the answer is not a simple one. I suggest that you contact your local council and ask them or alternatively ask a “competent person” (draftsperson, architect or engineer) for assistance. You might have one in your parish that will volunteer to help. 1. a parapet wall sloping at 17,5 degrees. 2. a double storey with similar parapet. as can be seen from the above examples – if there is a window centrally positioned in the wall – how does one calculate the P,G and H values. smae for both cases ?? Robin we can only point you in the right direction. We are not experts in fenestration calculations or any specialized construction-related work. I suggest you contact a “competent person“.